It has been nearly 2 years since my last post, but we are back, baby, and what better way to signal our rebirth than with one of my personal favorite topics: Hatsune Miku! Just when I think I'm off the Vocaloid hype train something happens that pulls me back in. This time it comes in the form of a localization that I never thought would happen. That of course, is the Project Diva games hitting American shores at long last. Having played the previous installments on PSP, and mastering every song on Hard, getting the PS3 version of Project Diva F, seemed like a no-brainer. That is until I played the Demo back in August 2013. For whatever reason I couldn't even get past normal mode on a song. What happened to me? I threw the controller in disgust and swore my love affair with Hatsune Miku was over. I boxed up her Figmas, put her CDs in a drawer and turned away with a tear in my eye. Okay. Maybe it wasn't that dramatic, but it did cool me on the whole Vocaloid thing for a while. That was until one week ago, when the Vita version of the same game got released. Now I'm back on board, getting Excellent rankings on all songs, and not really sure what happened in between the two releases that made my rhythm improve. Some say there is a slight input delay on the PS3 due to HDMI cables. I can't confirm or deny that. I was probably just having a bad rhythm day. I think it also helps to play the game with headphones on so you can really hear the notes you need to hit in time with the beat. Regardless I'm loving the Vita version and it will probably force my hand to try the console version again shortly. All that was just a long pointless preamble so that I can post my new favorite Hatsune Miku song: World's End Dancehall. It features both of my favorite Vocaloid's Megurine Luka and Miku. 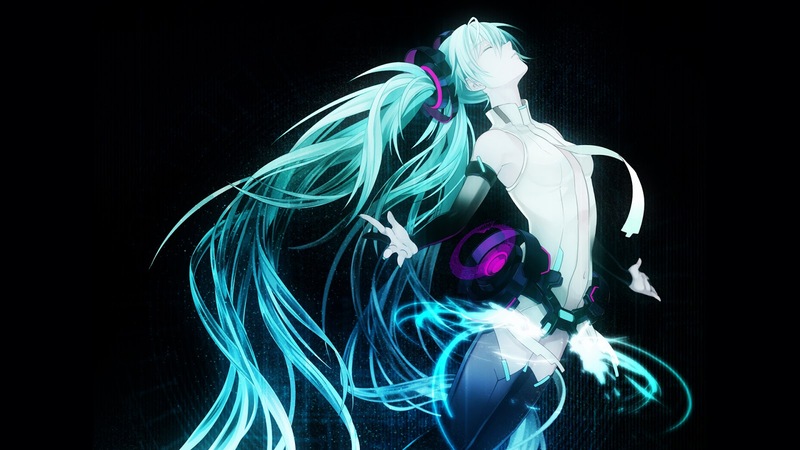 The song is arranged and created by wowaka who came onto the Vocaloid scene in 2009. He has since gone on to form his own band, devoid of any Vocaloids.